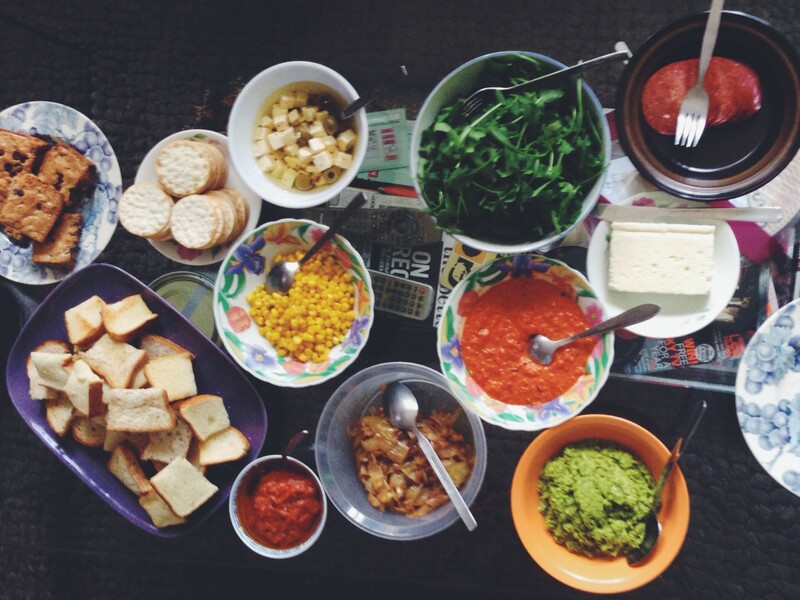 When I saw this party idea – a Bruschetta Bar in the upbeat What’s Gaby Cooking – I knew I had to do it. And not just, heyyy I should do it, but more like NO, it’s happening, like SOON. 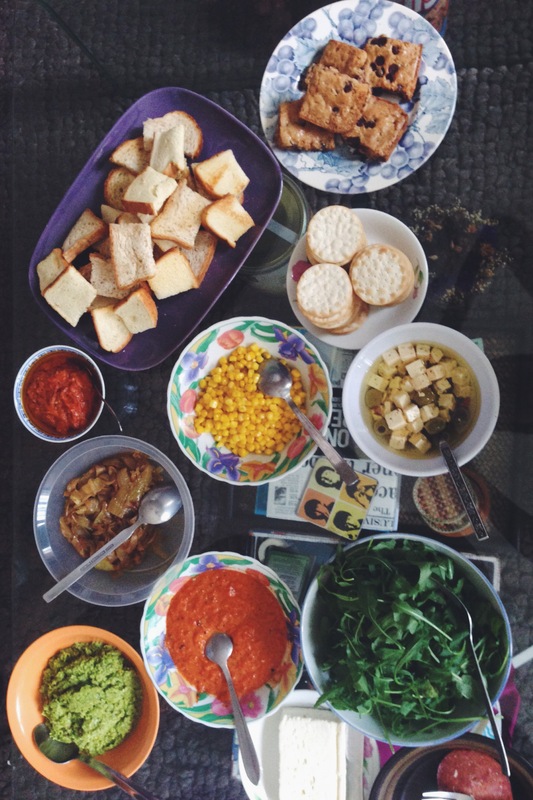 I rounded up a group of my girlfriends and planned a lazy weekend hangout, where we all could do a low maintenance (ok only kinda, low maintenance), fancy and super delicious brunch. Here’s what I prepared – borrowing largely from Gaby, and a few additions of my own. No re-posting here because I did not change these recipes – not even one bit! Blondies – bake this beforehand, cut and freeze. On the day defrost and they will be perfect! My girls brought the sauteed mushrooms, salami, caramelized onions, feta (fancy and normal), pepper jack cheese and rocket (arugula)! And we washed it all down with some refreshing clerico sangria – of COURSE.